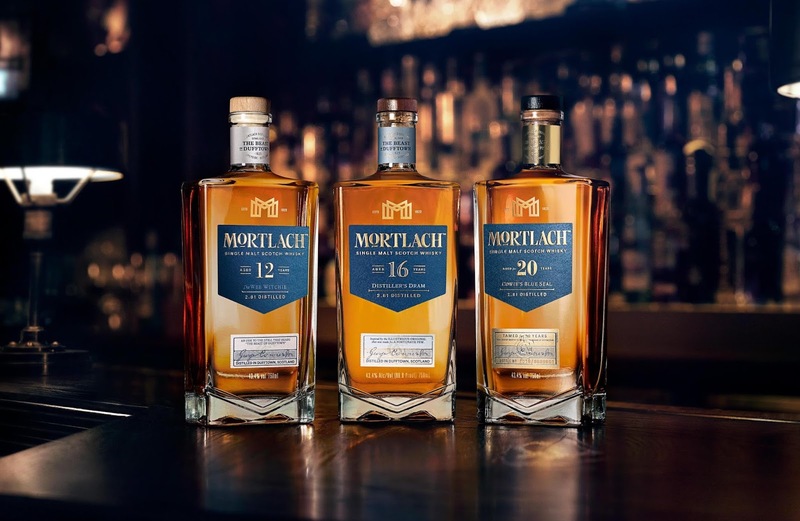 Diageo, has announced the launch of three new expressions from its Mortlach single malt Scotch whisky range. Mortlach 12 Year Old - Wee Witchie (43.4% ABV) matured in ex-sherry and ex-bourbon casks. Mortlach 16 Year Old - Distiller’s Dram (43.4% ABV) matured in ex-sherry casks. Mortlach 20 Year Old - Cowie’s Blue Seal (43.3% ABV) matured in ex-sherry casks. Produced in the Speyside region of Scotland, which is generally known for its smoother, gentler style of whisky, Mortlach’s flavour profile is said to bridge the gap between mellow and smoky. Using a complex distillation process unique to Mortlach known as “The Way”, the audacious approach to distillation has remained unchanged since it was invented by distiller’s son Dr Alexander Cowie in 1896. The precise 2.81 distillation process is a closely guarded secret, handed down through generations of Mortlach distillers. Mortlach 12 Year Old - Wee Witchie, Mortlach 16 Year Old - Distiller’s Dram and Mortlach 20 Year Old - Cowie’s Blue Seal, will be available later this month from specialist retailers, for the respective RRP’s of: £50,00, £80,00 and £200,00.